A local business owner was forced to leap free when his back hoe burst into flames. 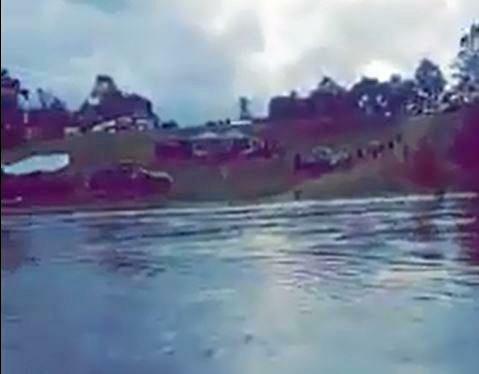 A LOCAL BACKHOE owner has had a lucky escape, fleeing from his vehicle before it burst into flames on Curra Estate road at about 9:30 this morning. Tom Hurst had been operating the machine for a couple of hours before it started to spew smoke. It quickly caught fire, forcing him to jump free of the flaming vehicle. Mr Hurst was at a loss to explain what caused the combustion. “I don’t know how it happened – just caught on fire,” he said. The backhoe was completely destroyed in the blaze, and replacing it could cost more than $170,000. While he has insurance on the backhoe, Mr Hurst said the damage to his business could be immense as he currently has no replacement for it. 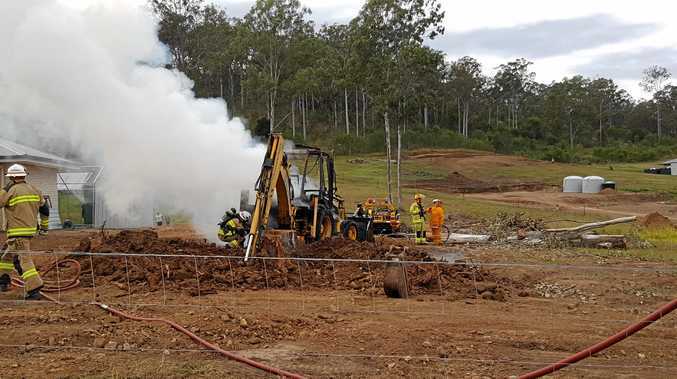 Having operated Hurst Backhoe Hire for more than 30 years, Mr Hurst said watching the backhoe go up in flames was stomach wrenching.